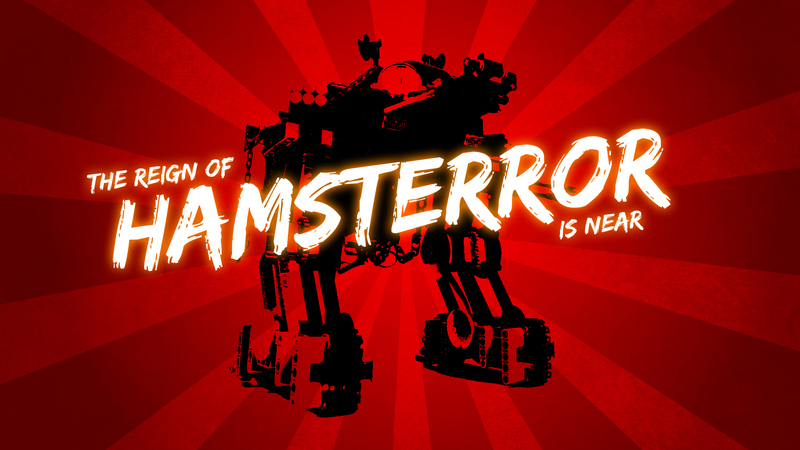 Wacky hamster-like mecha. Features drive, legs that allow sitting down or standing up, moving nose, whiskers and ears and remotely-fired anti-cat cannon. 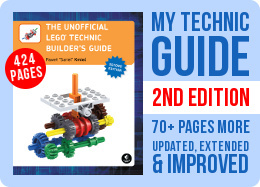 This creation was intended do celebrate my YouTube channel reaching 75,000 subscribers milestone, but due to variety of reasons, including the reviews of the 1H 2016 LEGO Technic sets, it was long overdue. It was pretty simple technically and crude aesthetically, intended to be wacky and mostly evoke laughter. 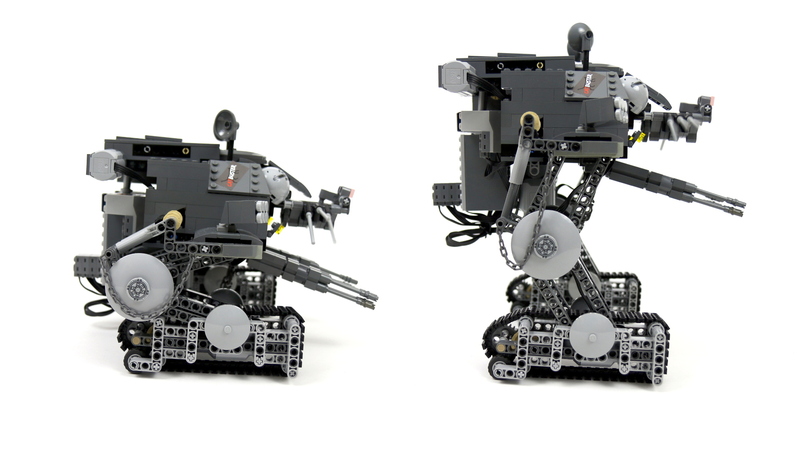 The mecha was built on two legs that used double parallel linkages to allow knee-like movement. This way, it was possible to sit down or stand up by just rotating the upper part of the legs. The propulsion system, which consisted of one PF L motor enclosed inside each foot, driving a track wrapped around it, remained functional at all times. Due to the rear-heavy mecha’s upper body, small wheels were added at the back of the feet to prevent falling backwards while standing up. Thanks to these wheels, the mecha was pretty stable despite being top-heavy – I wasn’t able to come even close to knocking it over, no matter what I drove it on. 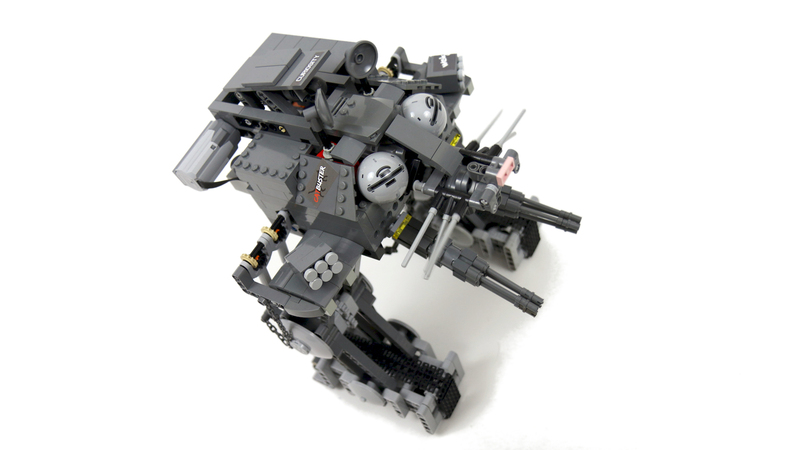 The legs raising mechanism, however, was pretty close to its capacity limit, struggling to make the mecha stand up – and in fact it was my second version of it, as the first one, using a single PF XL motor and worm gears, proved too weak to handle mecha’s weight. I was expecting this creation to be a major disappointment, but it has received a surprisingly warm reception. Apparently it made up for its many shortcomings by its general wackiness. It had several solutions that could be interesting on the technical side, such as linkage in the legs and cams in the nose/whiskers mechanism, but mostly proved to be source of amusement, as intended. In both cases: whatever works best for you. It’s you who is building and you who is filming, so I don’t know. Hi I have completed the base of my mecha hamster Tell me will normal Lego Tracks look good or should i put your custom built tracks for it. Also as for making a video should I use After Effects or Pinnacle Studio. 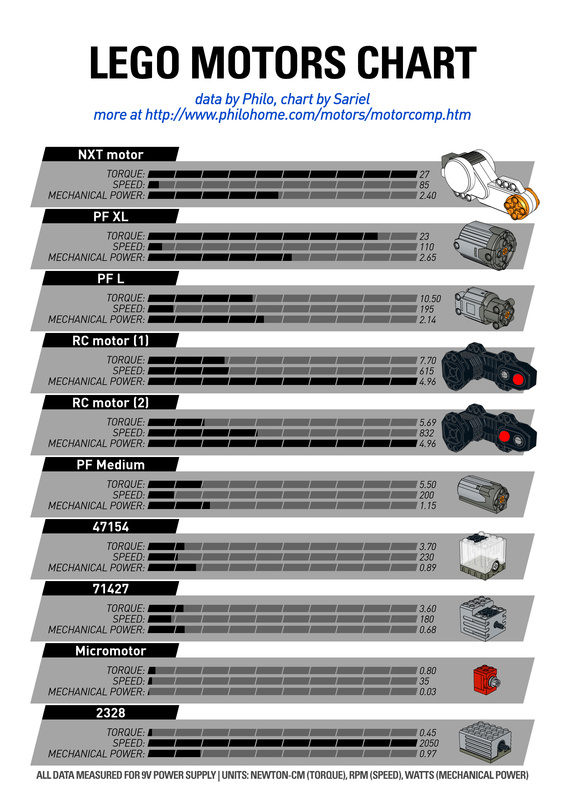 Where did you place the motor powering the tracks? Ok, didn’t know it had that motion… Thanks! 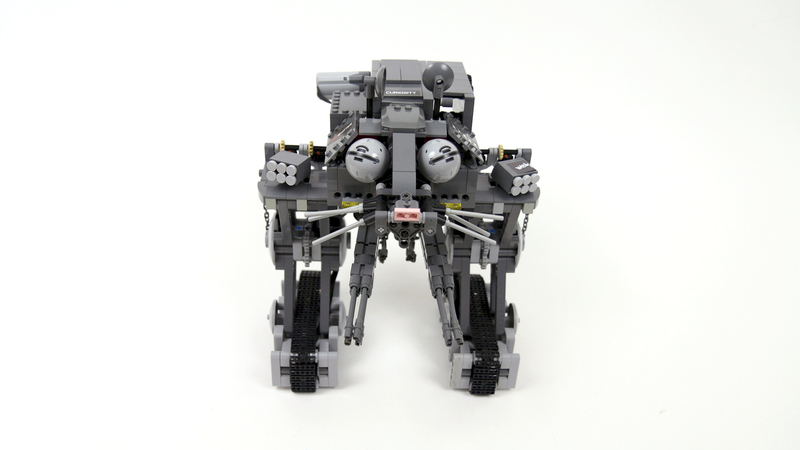 Lego has already made a functional walking AT-AT: the 10178. The instructions should be available online, did you try looking there for inspiration? 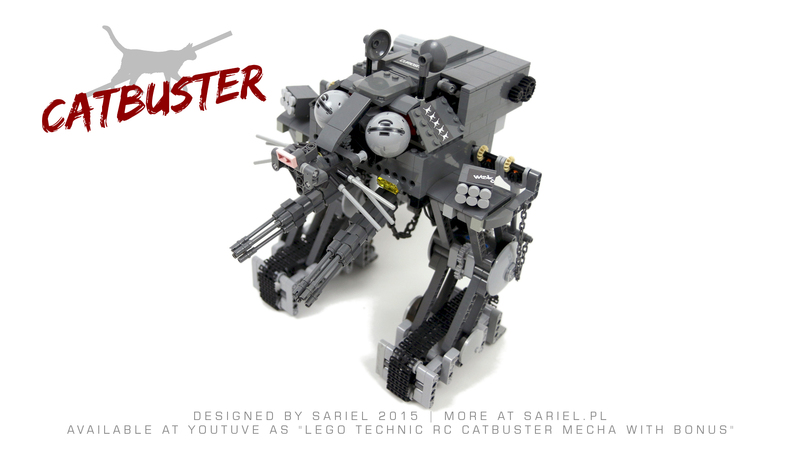 Sariel, I want to build a Lego Technic At-At and I was wondering for some tips. I am having a tiny bit of trouble with the bending knee motion. I want to try to have it in a small area, not to big. 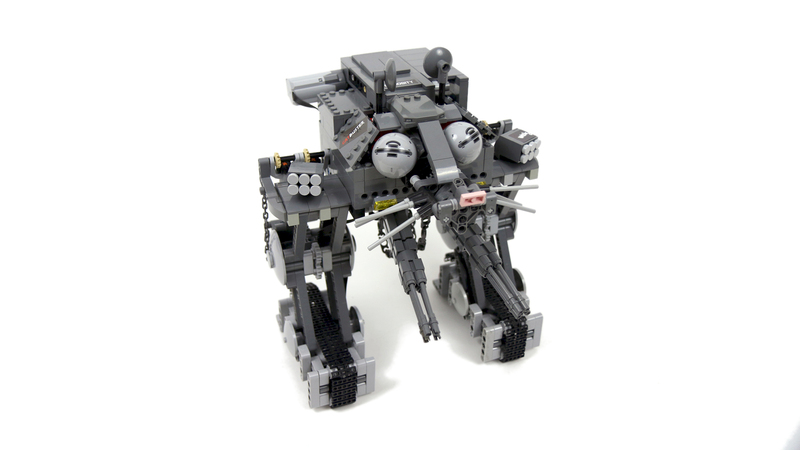 Have you built a walker like this before? I will probably find it out by my own, but I was just wondering if you knew a few tips for the walkers. Well Done this thing is awesome and quite funky I guess it would be a little better without the rotating ears.Anyway can i copy this idea of yours and make my long ago planned “Ultra Deluxe Super Mecha hamster” its gonna be made with mindstorms ev3 and a bit bigger then yours. Can i make it.